In 'My Transformation - Out of the Shadows' post I mentioned that my being whole consists of spirituality, exercise and nutrition. Yes, I have lost more inches and still yearning for a more fulfilling life. 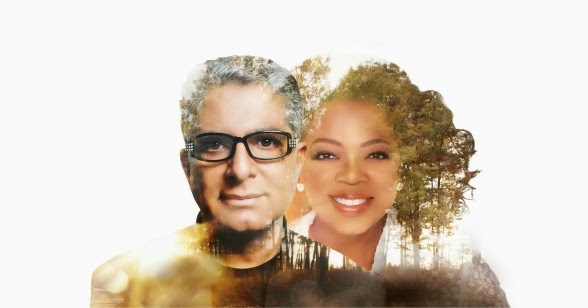 I promised to inform you about the next Oprah & Deepak 21-Day Meditation Experience - Finding Your Flow starts April 14. Don't forget it is free to participate. The hardest part for many is the ability to settle the mind for about ten minutes. Other than that, you just may thank me. That's a sign... Just realized I've been busy and haven't checked your blog in a bit and this exercise starts today!